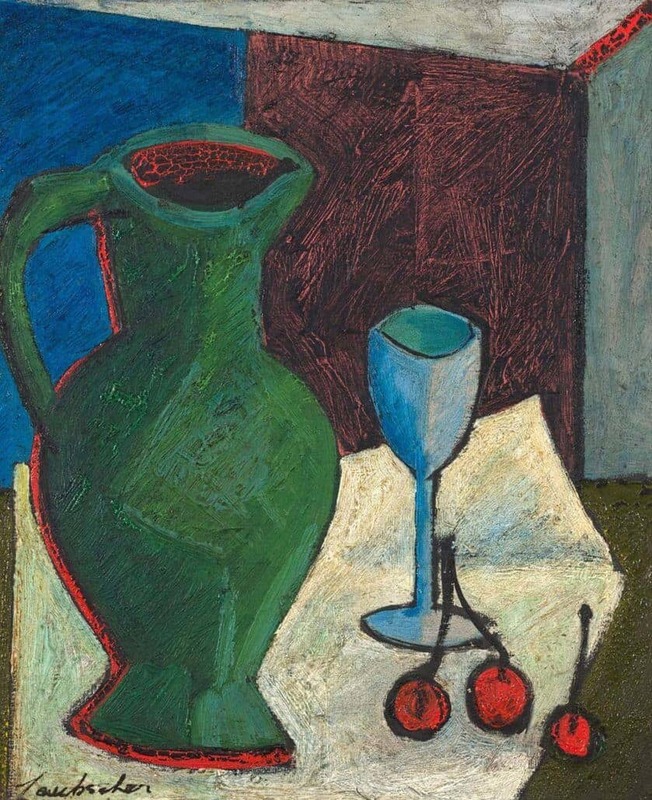 A commanding selection of works from single-owner collections, including a museum-quality Irma Stern still life, Namibian landscapes by Adolph Jentsch and an important Japanese satsuma vase, are some of the highlights from Strauss & Co’s forthcoming Spring sale. 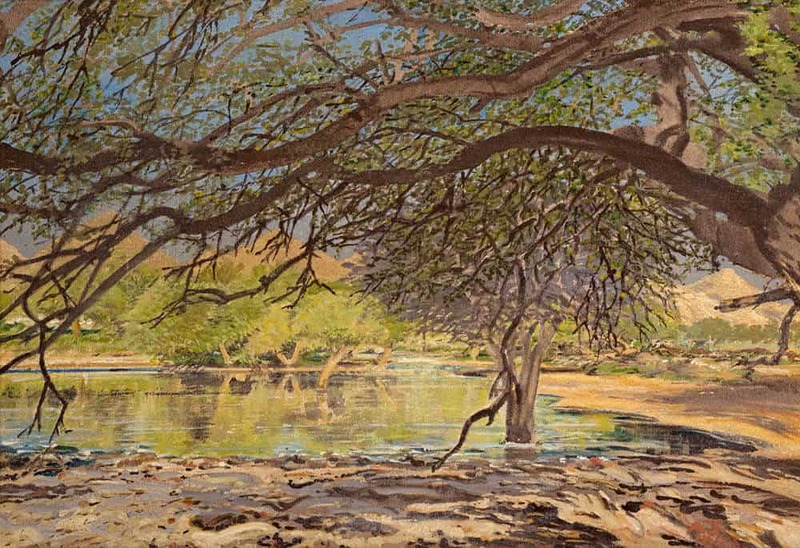 The sale, which also includes a late-period landscape by JH Pierneef from 1945 and two striking portraits by Maggie Laubser from the 1920s, will be held in Cape Town on 15 October at the Vineyard Hotel in Cape Town. Produced in 1947, Stern’s vivid floral still life Dahlias (estimate R8 – 12 million) is a peak-period work with an impeccable provenance. Originally owned by renowned art collectors Ben and Cecilia Jaffe, Dahlias was acquired by noted Cape Town collector Count Luccio Labia in 1994 at a sale handled by Strauss & Co founding director Stephan Welz. The magisterial Stern forms part of a consignment of twenty two paintings released from the Labia Family Collection. 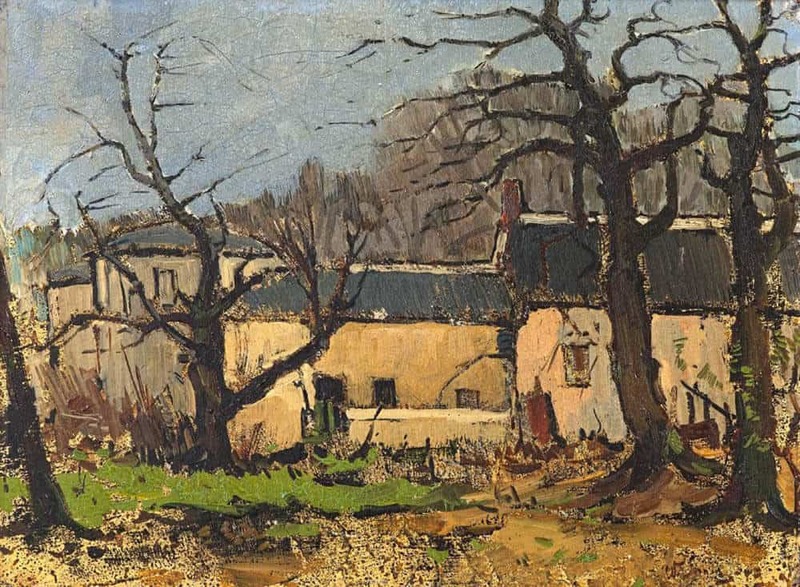 Highlights from this consignment include an important 1918 landscape study by Pieter Wenning, The Yellow House: Bishopscourt in Winter (estimate R500 000 – 700 000), and an early post-war landscape by celebrated British modernist Ivon Hitchens, Felled Trees (estimate R500 000 – 700 000). 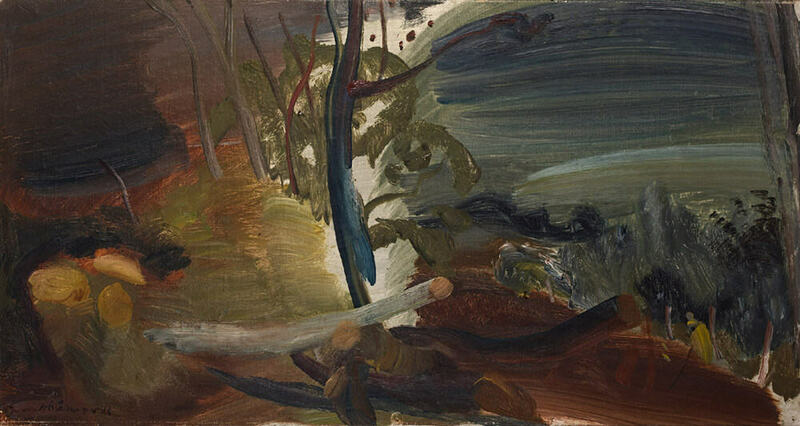 Highpoints from the twenty works entrusted by the Late Peter and Regina Strack Collection to Strauss & Co include Vlei on Farm Teufelsbach (estimate R600 000 – 800 000), one of four extremely rare and important Jentsch oils. The Strack Collection offering also includes noteworthy works by Fritz Krampe (Cattle Frieze, an oil on canvas from 1959, estimate R200 000 – 300 000) and Alexis Preller (Pondo Girl, a charcoal drawing from 1938, estimate R80 000 – 120 000). Laubser is represented in the forthcoming sale by two portraits of working-class women, both of whom are depicted wearing yellow headscarves. Mietje (estimate R1 – 1.5 million) was painted in 1920, shortly after the artist returned to South Africa from Europe, and reveals the influence of Van Gogh. Painted in 1926, Ou Lena (R500 000 – 700 000) depicts a farm worker from the Cape farm where Laubser lived. 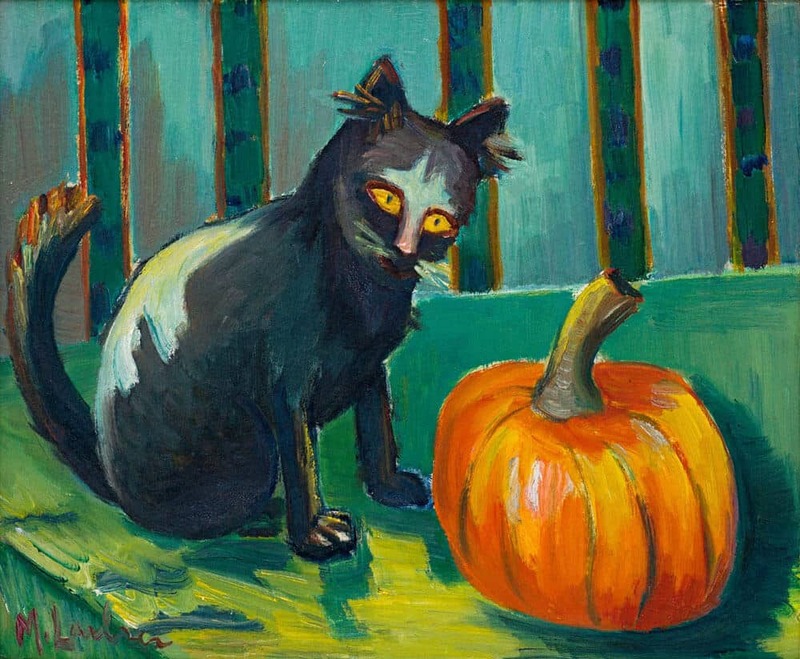 The Laubser offerings also include Cat and Pumpkin one of three such works still ifes by Laubser, (recto, R1.5 – 2 million), which features a black frequently depicted by the artist. 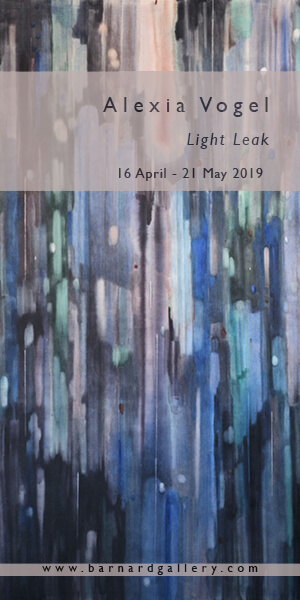 Strauss & Co is delighted to be offering four relief paintings from a single collection by Kenneth Bakker who was the first South African painter to receive an award at the São Paulo Biennale. 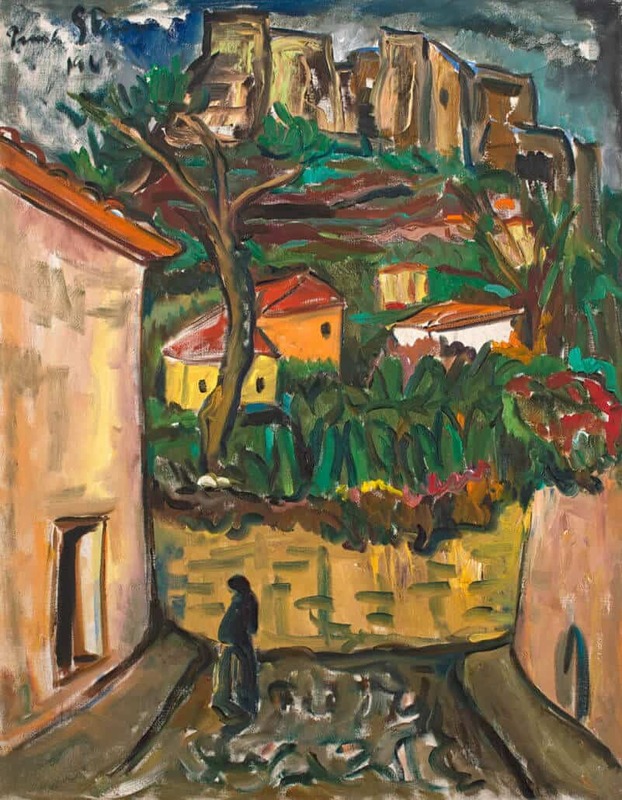 Produced between 1967 and 1980, the Bakker lots include Tidal Pool (estimate R70 000 – 100 000) and Relief Painting with Construction No. 2 (estimate R50 000 – 70 000), outstanding three-dimensional assemblages made from overlapping sheets of painted Perspex. 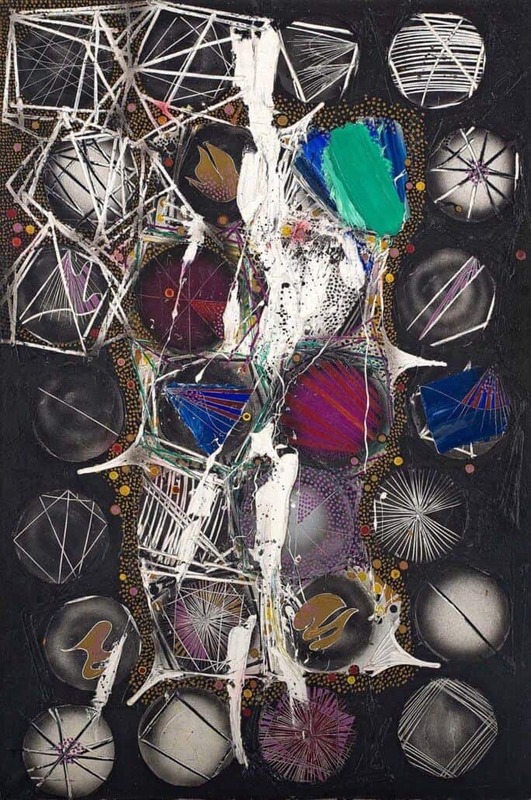 Strauss & Co’s spring sale, the penultimate in the company’s five annual live sales, includes a strong selection of work by three pioneering modernists: Maggie Laubser, JH Pierneef and Irma Stern, all leaders of the South African auction market. Stern is Strauss & Co’s top-selling artist, having netted R335 859 794 from 148 lots sold since the company was founded 2009. Pierneef is second, with sales totalling R163 016 234 from 273 lots sold, and Laubser fifth, with combined sales of R57 414 703 from 130 lots sold. Pierneef’s later-period work Elephant Castle, Selati River, Phalaborwa (estimate R3 – 5 million) commands the highest pre-sale value among the eighteen Pierneef lots on offer. Executed in 1945 in his monumental style, Elephant Castle depicts the Selati River near its confluence with the Oliphant’s River outside Phalaborwa. 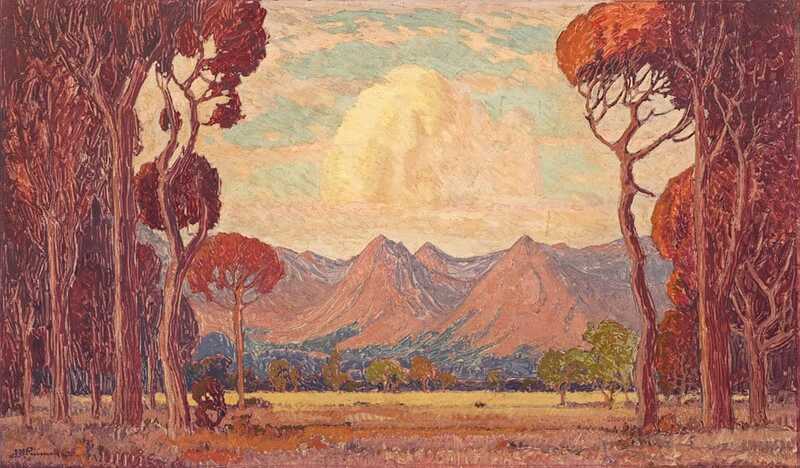 The expansive Pierneef offering, which includes works in casein, watercolour, linocut, etching, pastel, charcoal and pencil, will appeal to a broad spectrum of collectors, from entry-level buyers to connoisseurs. 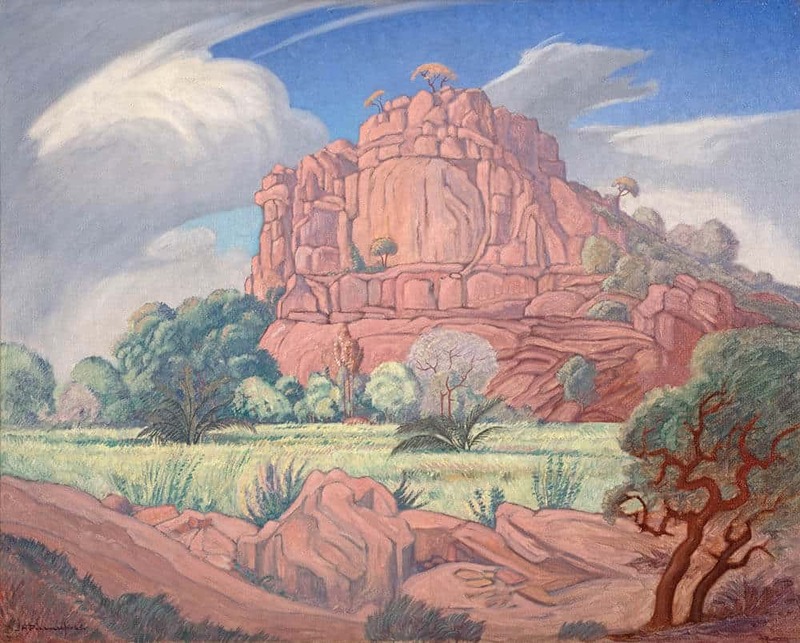 Highlights from the Pierneef offering include: A View of Mountains Through Trees (estimate R1.2 – 1.8 million), a dusky 1930 landscape produced when the artist was at work on his iconic Johannesburg station panel commission (1929-32), and Thorn Trees in Mountain Landscape at Dusk (estimate R350 000 – 500 000), one of two casein landscapes purchased by the current owner’s grandparents from the artist’s studio in the early 1930s. Another reason why Strauss & Co’s spring sale is much anticipated is its strong offering of decorative arts. The forthcoming sale includes a fine selection of Cape-Dutch furniture, notably late 18th-century Cape stink wood and fruitwood armoire (estimate R200 000 – 250 000) and a stinkwood and yellowwood koskas (estimate R200 000 – 250 000) as well as an outstanding selection of Chinese and Japanese ceramics and stoneware. Another highlight is a collection of twenty seven miniature replicas of milestones in furniture design from Swiss furniture maker Vitra (estimate R 40 000 – 60 000). 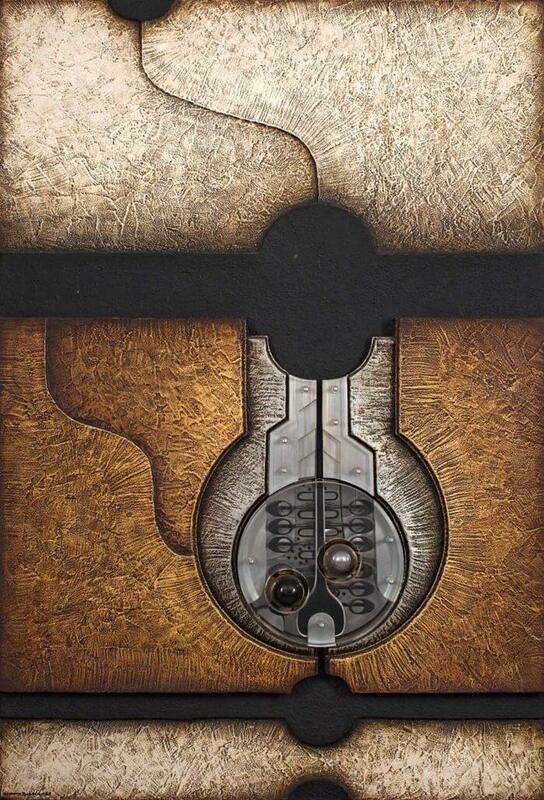 Strauss & Co is the global leader in the sale of South African art. The company has sold nine of the ten most expensive paintings ever auctioned in South Africa. As part of its commitment to growing the audience for South African art internationally, the company recently previewed Stern’s Dahlias at an exclusive public event in London. 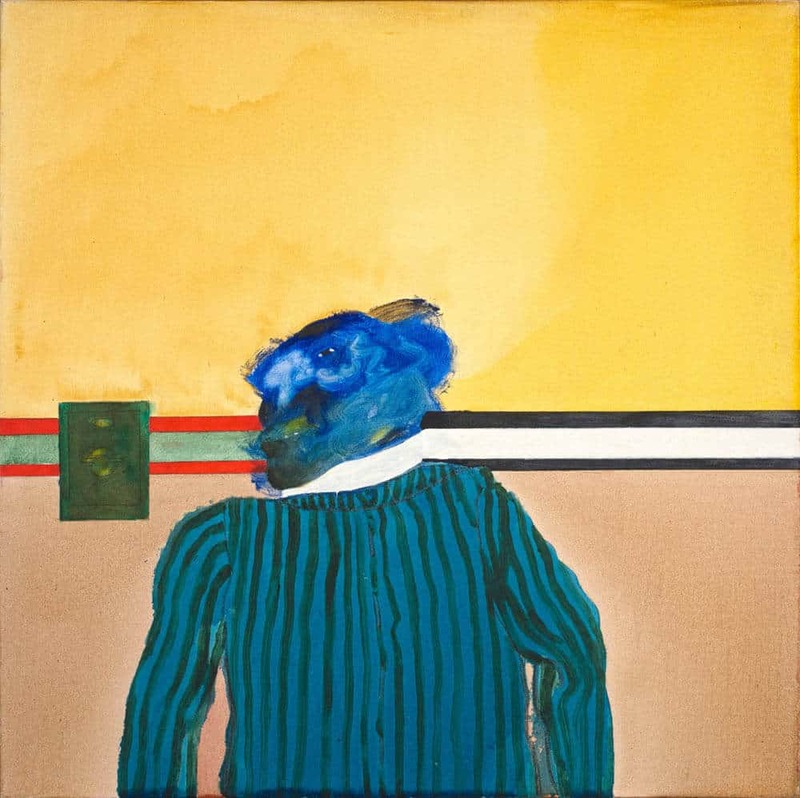 “The range and depth of South African art has long been recognised by brave and committed collectors. Our forthcoming sale is testament to their achievements in supporting artists, and will hopefully serve as encouragement to new collectors, be they based in South Africa or outside,” says Bina Genovese, joint managing director of Strauss & Co.
Works from the Labia Family Collection, Strack Collection, Irma Stern Trust Collection and other single-owner collections will go under the hammer on Monday, 15 October. 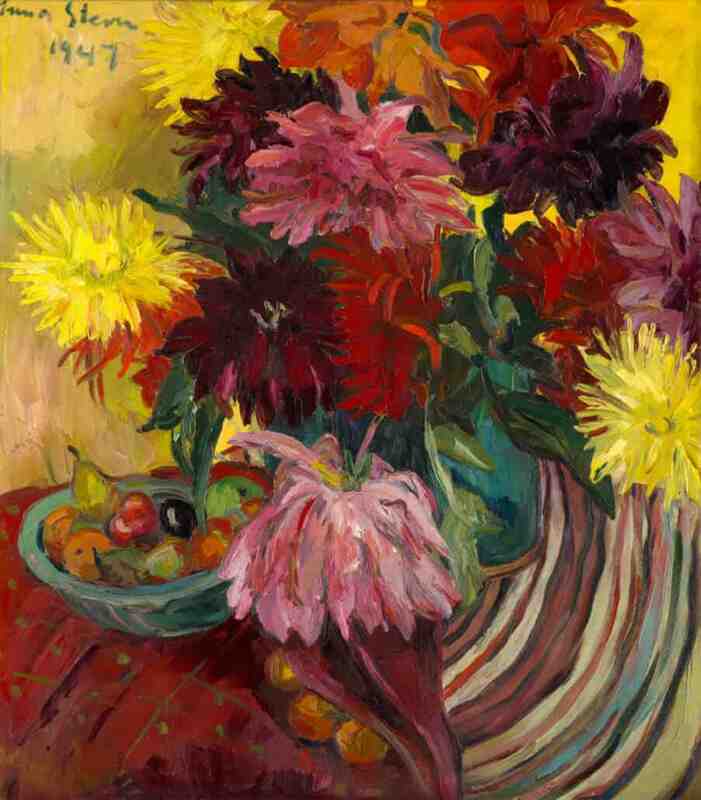 The public can view Stern’s Dahlias (lot 513), Jentsch’s Vlei on Farm Teufelsbach (lot 522) and the Satsuma vase (lot 272) at the Vineyard Hotel in Cape Town from 12 to 14 October between 10am and 5pm. Strauss & Co is hosting an extensive programme of public talks and social events in the lead-up to the sale. Visit www.straussart.co.za for further information.